If you’ve ever sat in an audience mesmerized by a motivational or business speaker, you know that such speakers can make the skill look so easy. You laugh with them, learn with them, empathize with them, and leave feeling as though the time passed incredibly fast. On the other hand, you’ve probably had occasion to sit in some meetings where the time dragged by—when you had interest in the content, but the speakers needed polish. Here are a few statements that make all the difference in delivery—comments that skilled speakers never make and situations that they handle differently from their less successful peers. This comment becomes the opening remark for presenters who want to lower expectations for their performance. It’s their attempt to say, “Hey, don’t expect much from me. There are people in this organization far more qualified than I am to give this presentation.” While the statement does show humility, it often has the effect of setting up the audience for disappointment—it suggests that they agree with you that you should not have been asked to deliver the presentation and that they are about to hear an inferior talk. This statement also attempts to lower expectations for the performance. No matter that you have a high fever, a bad cough, or an upset stomach, the audience came to hear a good presentation. The fact that you’re tired, sick, or jet-lagged is not their problem. They want a great session—not excuses. Today’s audiences typically resent anyone telling them what to do with their own devices—particularly when cell phones have become like an extension of their clothing, as much so as eyeglasses or hearing aids. In fact, listeners may be taking notes on their devices, snapping shots of your slides, or tweeting a key point from your presentation. All of that spells engagement. If you fear a ringing phone may disrupt, simply remind audience members to “silence” their phones. Starting with such a statement sounds like an apology for what’s to come. The comment suggests that what you’re about to say has no value and that you’re holding them against their will before they can move on to more important activities. Instead, your opening comments should whet the audience’s appetite for the benefits of listening to what you’re about to say. Consider this a rough transition line. You have much better choices than this clunky statement that says “I forgot to prepare my transition to the illustration or anecdote.” As an alternative, just pause, then begin your story. Or better yet, use a tailored transition line, pause, then tell your story. Here’s an example: “You never know when opportunity might hit your inbox. . . . Like Saturday morning. I clicked on an email from a former boss to discover that he had moved to Las Vegas …” and you’re into your story. If you have to explain it, the slide needs to be redone. A slide should replace hundreds or thousands of words—not generate more words! If someone asks you a question about content you think you’ve already covered well, this statement will sound like a reprimand. A better response to such a question: “Let me elaborate on that earlier idea a little further…” Then either paraphrase what you said earlier or add further details or illustrations to make your earlier comments clearer. 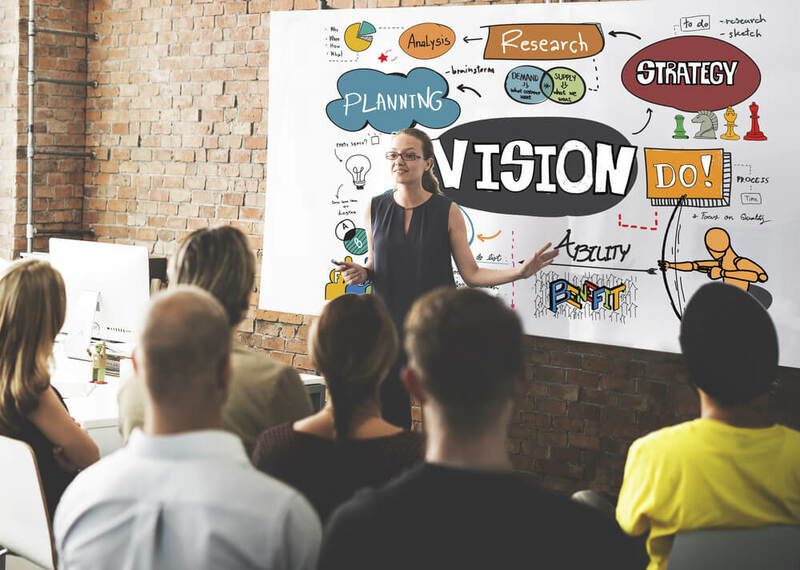 Just a few of these tweaks can make a major difference in the delivery of your presentation or keynote––and the rave reviews you receive from you audience.